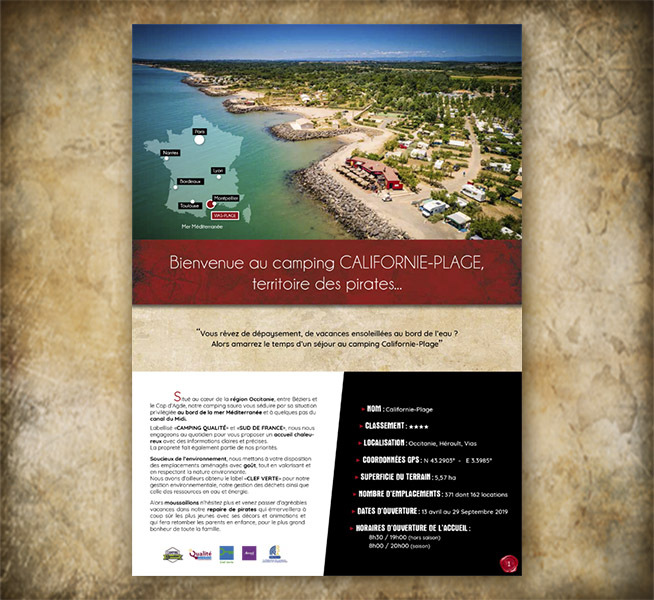 How can you make a reservation at Camping Californie Plage? Home > > > How can you make a reservation ? 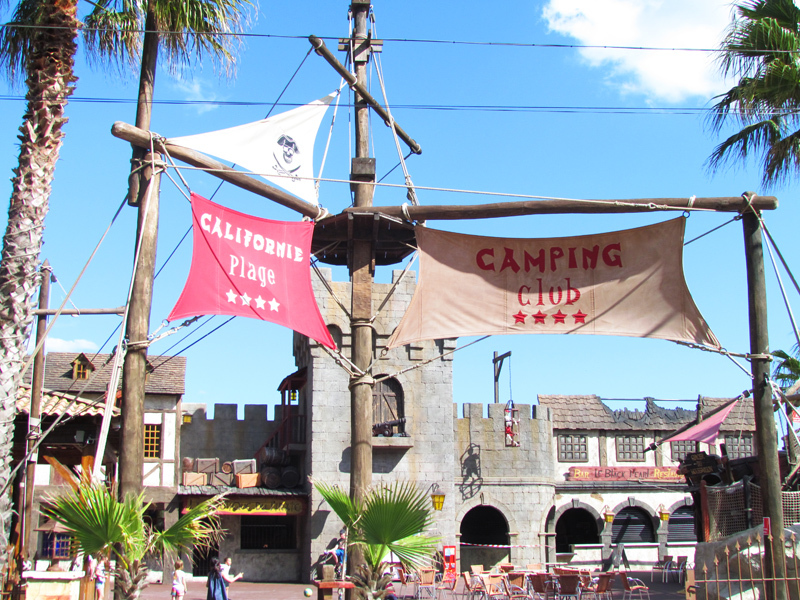 How can you make a reservation at Californie Plage ? Go on our internet website and click on the green tab « Télécharger les tarifs » (Download Prices). You will discover our different mobile homes, prices and special offers. Click on the pink tab « Réservation en ligne » (Online booking) and then on « Disponibilités » (Availability). 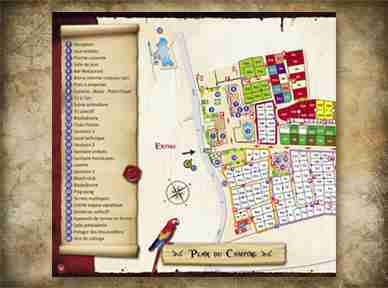 Ps : For specific requests about camping places availabilities, the best is to call us under 00 33 4 67 21 64 69. Enter your dates of travel, the total amount of persons and the accomodation type you want. Confirm your booking request with a credit card (Visa, Euro- or Mastercard). The deposit will only be taken if we can confirm your booking request. Once your booking request is treated, we will send you an email with a confirmation. 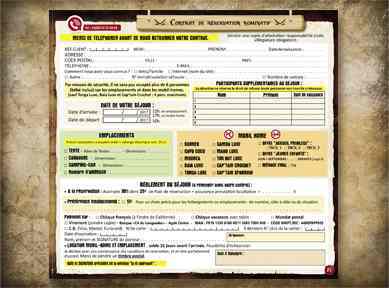 Print out the booking form and the general booking conditions. Call us under 00 33 4 67 21 64 69 to know our availabilities and to set an option. In «Payment of you stay » : Write the amount of the deposit. If you make a banktransfer, please join a copy of it. If you pay by credit card, don’t forget to fill in the name of the card owner, the date of expiration, the 3 last numbers on the back of the card and to sign. Write the date and sign the booking form with the words « read and approved ». Send us the whole file (booking form + general booking conditions + deposit + a copy of personal liability insurance). Once we will receive your booking request by post, we will send you an email to confirm your reservation ; and we offer you the possibility to pay by instalments (The balance of your stay has to be paid at least one month before arrival). Once we received the balance of your stay, we will send you your voucher and an access map.